Easter is Sunday, April 21, 2019 this year. This cute and clever Easter card is perfect for a Star Wars lover or Star Wars fan. This card can be fully customized and personalized at no extra charge and also includes a free matching colored envelope, round envelope seal, and a U.S. Forever postage stamp. 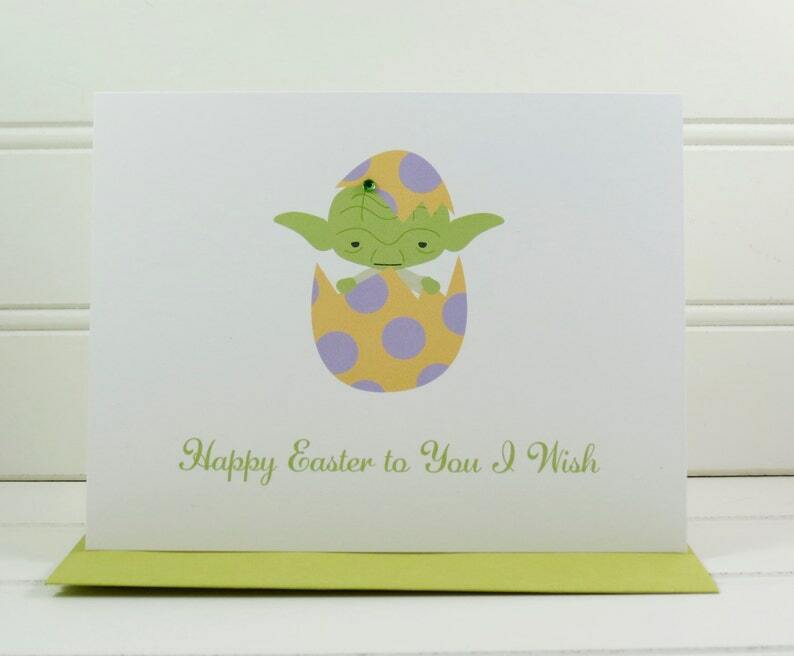 On the front of the card, there is an illustration of Yoda standing inside a cracked Easter egg. The message below the illustration says, "Happy Easter to You I Wish" in Yoda speak. The card measures 4.25” x 5.5” when folded and is blank on the inside.